The afternoon took a very different direction with an aspect of Modern Maya culture that was utterly intriguing. It involved Maximón and his hosts. When the Spanish came to Guatemala they of course brought Christianity. 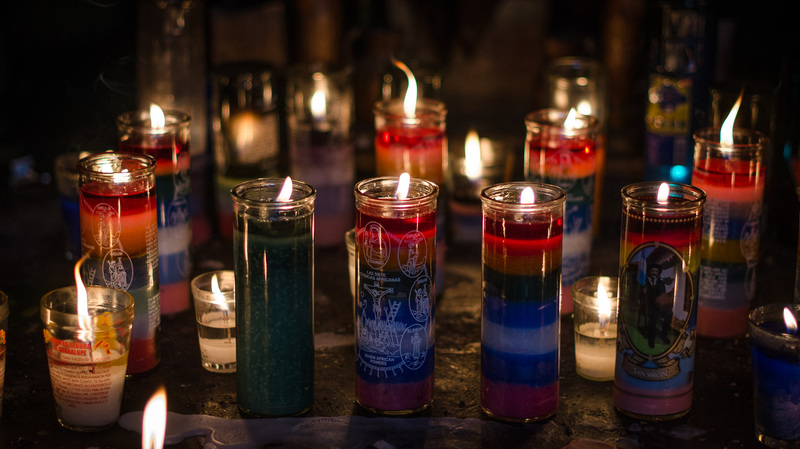 Some Maya blended some of the Catholic beliefs into their own religion and some took the saints on, mixing them with gods. Maximón is an example of this and is quite a guy. He is known for his cigar smoking and drinking, and people come to see him to offer him gifts in exchange for favours, luck, advice, etc. All the ties you can see round his neck are one example, with money and alcohol common too. The one aspect that really grabs you is that he is under the care of a nominated family for a year before moving on. They have to move out of their house so he can live there, they have to give up their work and guard him at all times; family members take it in turns with at least two present. 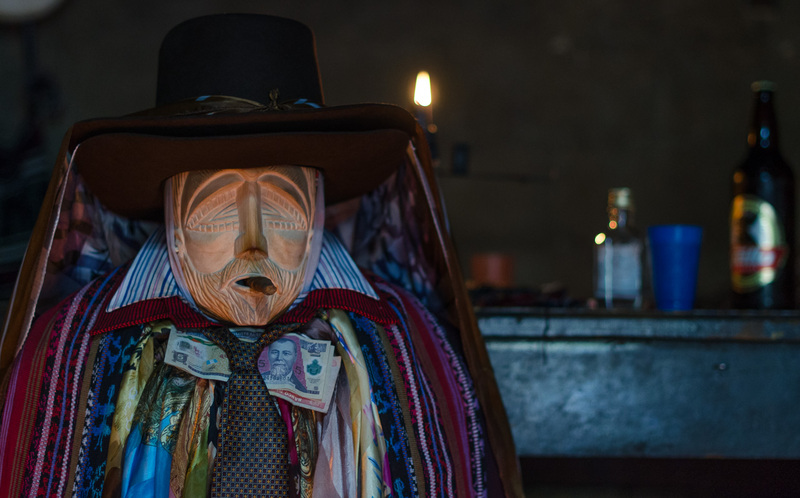 Although a lot of the alcoholic gifts are poured or ‘given’ to Maximón, the family have to finish what is left. So we were greeted by a rather inebriated group of family members and friends who were more than happy to tell us all about him. One guy greeted Diane about seven times! 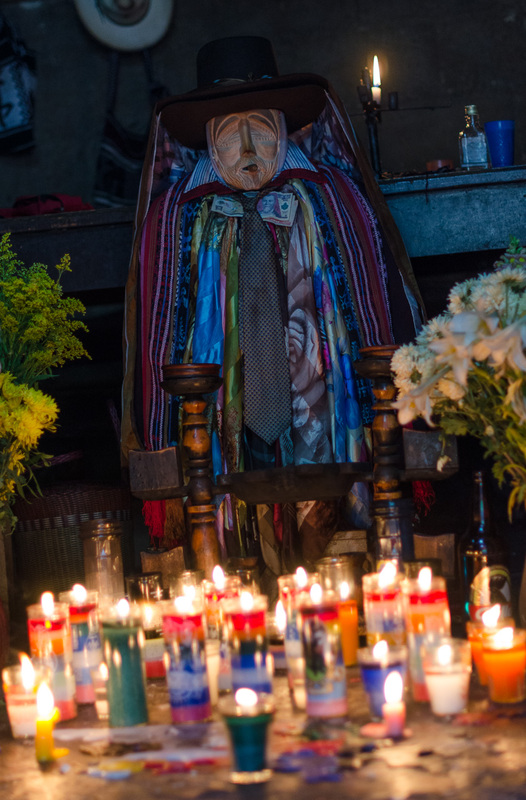 There was so much more to it, too much to explain here, but candles, Christian statues and a glass coffin with Maximón’s father were to be seen.